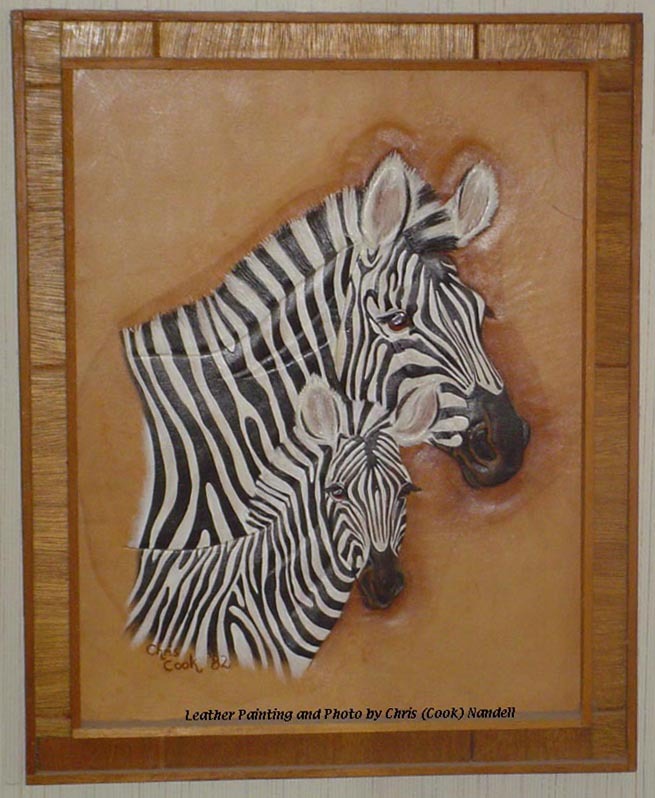 This is the first Leather Painting I did, completed in 1981. It was over 1,000 hours of work and It measures 23" x 16.5". 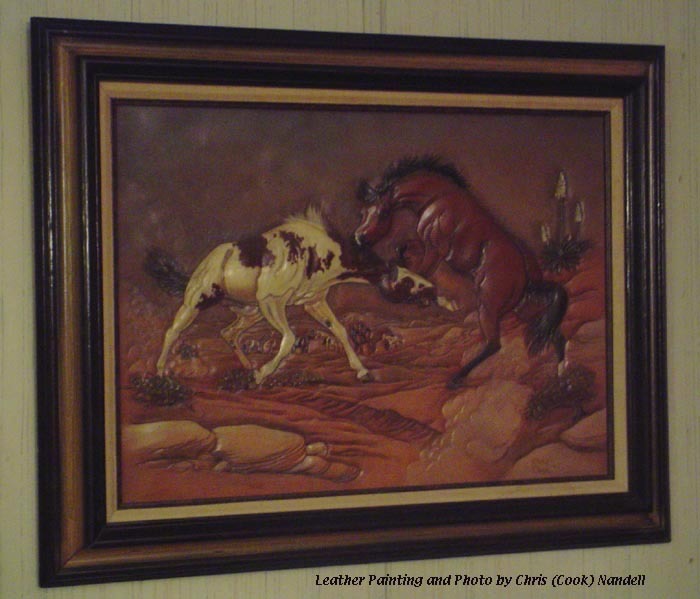 My second Leather Painting, completed in 1982. It measures 16.5 x 13". 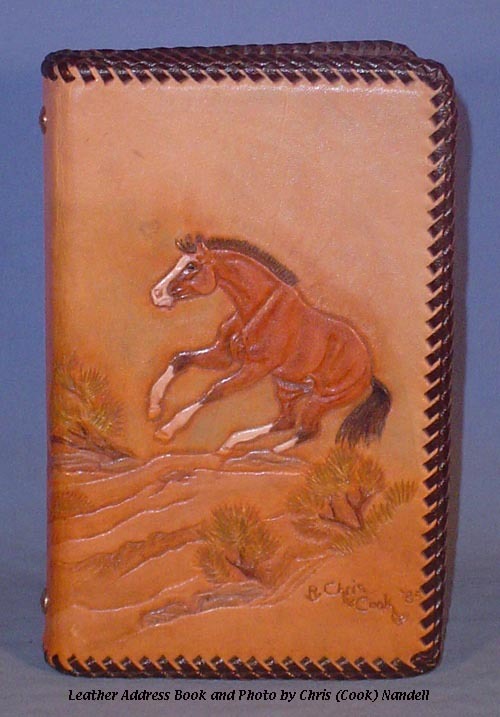 This is an Address Book, completed in 1985, with a carving of a horse I owned at the time on the cover.